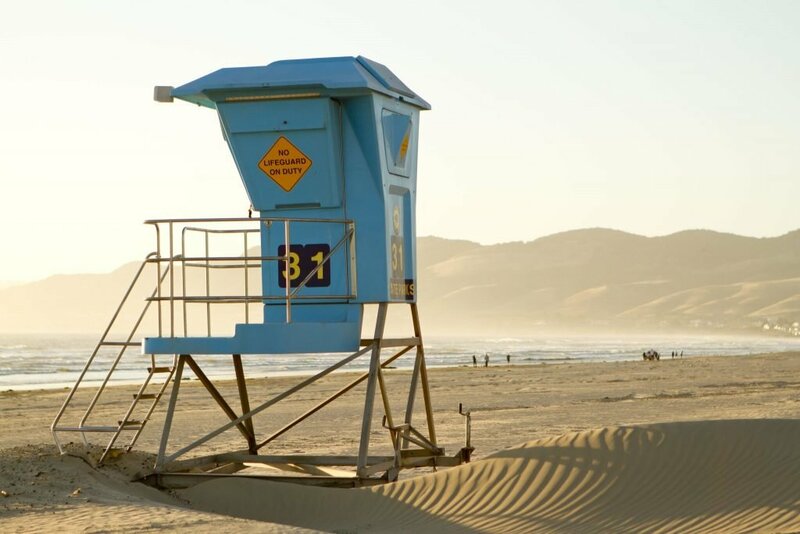 With ten miles (16 kilometres) of shimmering white sand and crashing blue waves, California's Huntington Beach has definitely earned its nickname of Surf City. But it's more than just a surfer's dream; it's every beach-goer's paradise, too. There are tons of things to do in Orange County to keep you busy, but we've put together our favourite tips for making sure your holiday in Huntington Beach is the best it can be. Once you land in the OC (Orange County for short), catch a ride in one of AsterRIDE Limousine and Luxury Transportation's sport-utility vehicles that allow plenty of room to stash your surfboard. Taking you right to the front door of your Huntington Beach hotel, this is an easy, comfortable transfer that gives you ample time to soak up the sights of the Pacific coast. The lyrics of The Beach Boys or Jan and Dean might be circling through your head as you hang ten in California. Take to the beach with a private surfing lesson with Wavehuggers, where you can learn all the best surfing techniques before you hit the waves. An institution on Huntington Beach Pier, grab a burger and a shake at Ruby's after a long day on the waves. Afterwards, stroll along the pier for some of the best sights the area can offer, including a perfect vantage point for watching the pros take to the surf! If you want to sample the variety of beach activities Orange County can offer, make your way to Bolsa Chica State Beach. From beach volleyball to birdwatching to surf fishing, there's something for everyone here. Feeling especially active? Jog from Huntington Beach along the bike path for a magnificent view along the way. 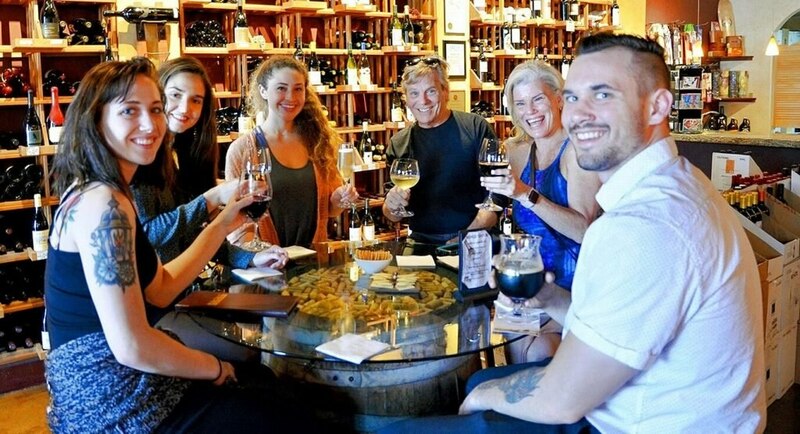 The perfect way to get a sampling of the best Huntington Beach can offer is to join one of Walk's famous food tours. Not only will you get to taste some of the best food around, your knowledgeable guide will regale you with fascinating stories from the area. You don't have to know how to surf to visit the International Surfing Museum... people of all ages will enjoy this informative and fun exhibit! With affordable admission and lots to learn, it's fun for the whole family. An icon in the area, Duke Kahanamoku is known as the father of surfing. Duke's, a swanky seaside restaurant, serves up the best of the beach, including fresh poke bowls and perfect margaritas at the Barefoot Bar. If you're after the full dining experience in the main restaurant, make sure to check out the Hula Pie. Not staying in Huntington Beach? Not a problem! Join one of Anaheim Tour Company's beach tours to get the full experience. Cruise in a vintage bus to famous spots like Laguna, Newport, and Huntington Beach on a hop-on hop-off tour that allows you to spend as much or as little time in each location as you'd like. 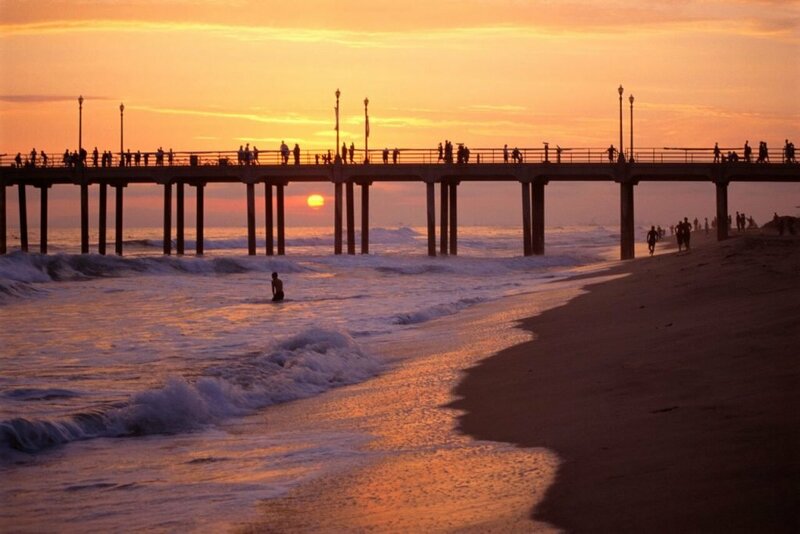 Have we convinced you to head to Huntington Beach yet? If not, maybe you'll be swayed by the fact that it boasts 284 days of sunshine per year. What are you waiting for?! Check out our interactive map for the 2017 Flip Flop report on beach behaviour.